I've had a battle with nail biting ever since I can remember and only last year when my boyfriend said he'd buy me a treat if I finally stopped did I manage to win the battle. However, about ten months of unbitten nails and an amazing Arctic monkeys gig later, I decided that even though my nails were so much better than before I still wanted them to look longer, stonger and more even. Of course pretty much the only way to have continually perfect nails is to wear false ones, which I have for about a month now and I absolutely love them! 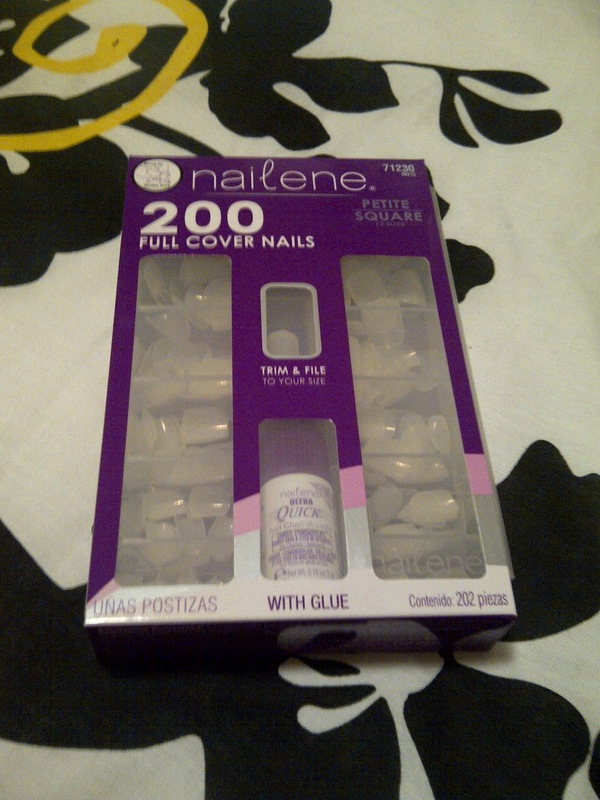 After looking at the selection in Boots and deciding I couldn't spend nearly a tenner every time I needed a new set of nails, I followed Lily's advise from etcllymlrs and went on ebay to buy 200 plain nailene nails in petite square for only £2.99 plus £1.41 postage. 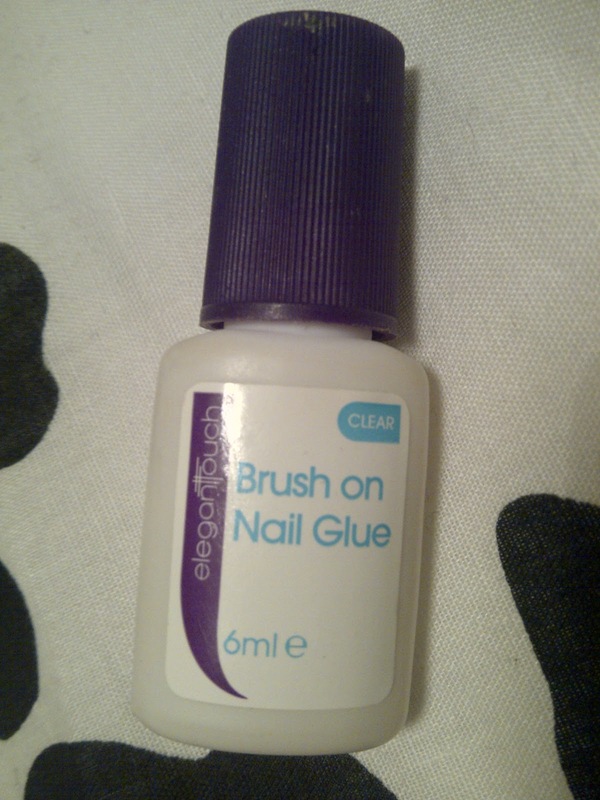 This is so quick and easy to apply (even when I'm trying to drunkenly stick a nail back on when I'm clubbing! ), dries in seconds and is really strong so my nails don't tend to start coming off till about a week after I first apply them. It was also a right bargain at only £3.10! After taking a set of false nails off, my real nails sometimes do feel a little brittle so I am making sure that I have a few falsie breaks and keep them topped up with my Sally Hansen hard as nails treatment, but to be honest they look so lovely and perfect when they're on that I don't really mind too much! Are you a false nails fan? What ones do you use? Any tips for keeping my real nails in good condition whilst wearing falsies? After a long day at uni I'm actually looking forward to having a night of generally sorting my life out a bit whilst catching up with Dancing on Ice, I sure know how to live haha! What a bargain! 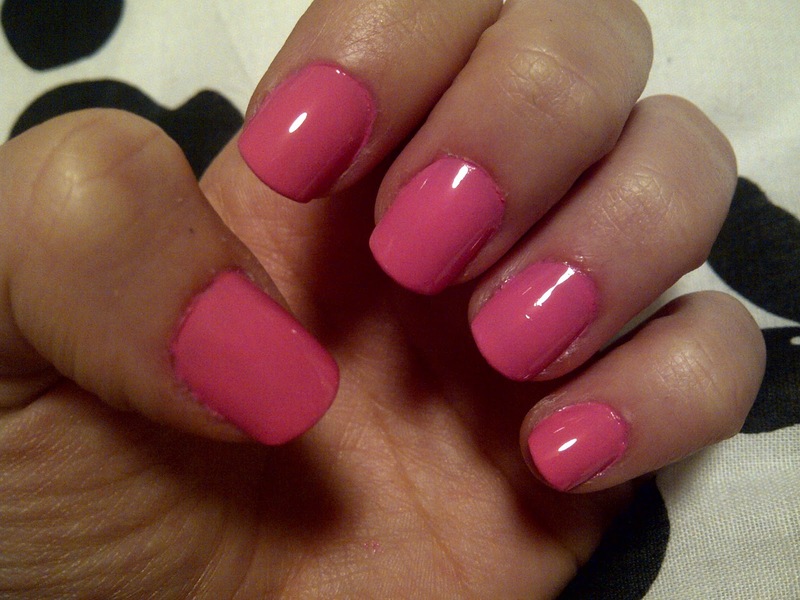 The small nails look far nicer and alot more natural than the OTT long falsies.